The Best Penny Auction Sites Online - Bid and Win at Top Penny Auction Sites! & Other Penny Auctions, Too! 100% Free & 100% no spam guarantee! Most people are naturally drawn to the biggest penny auctions. More bidders translates into more action, which in turn introduces numerous advantages (we’ll present them in a moment). There are also reasons to visit the smallest penny auctions. They too offer advantages. The problem is, it is often difficult to known which sites are the largest, which are the smallest, and which ones fall somewhere in between. Our goal on this page is to present several reputable penny auction sites, and rank them from biggest to smallest. We’re using penny auction traffic numbers as a rough guide. Note that our listing of sites is limited. The reason? There are hundreds of sites, and we have found many of them to be unreliable, untrustworthy, or questionable in some way. It does little good to list them because we cannot recommend them to you. As we come across other high-quality penny auction sites that pass our review, we’ll add them to the list. It’s impossible to say which option is preferable when considering penny auction traffic. Both large and small sites pose advantages. Both also pose potential drawbacks. A lot depends on the value you place on each. For example, you’ll usually find the widest breadth of items at the biggest penny auctions. As a site’s revenues grow, the site is able to establish ties with larger suppliers. In addition, the overall quality of the items tends to increase. This is not to suggest the sites put shoddy products on auction, but rather high-end, premium goods are often found at the large sites. Another benefit to bidding at the big penny auctions is that they are more likely to be reputable. With size comes accountability. The more people who visit and participate, the greater the site’s exposure. Having said that, the sites on our list, from largest to smallest, have each passed our review for trustworthiness. The smallest penny auctions may lack the breadth in items offered by their larger counterparts, but there are still reasons to visit. First, you’ll find fewer bidders. This means you’ll have less competition for the items you want. Less competition means you can win auctions with fewer bids, lowering your cost in the process. Second, small auction sites often try harder to entice bidders. For this reason, you’ll often find they put together the best promotions. Quibids – Quibids is regarded as the titan of the penny auction site industry. They attract more traffic on a daily basis than their competitors. Hence, as you would expect, they are able to place an enormous range of high-end items on auction. From Apple iPads to Callaway golf clubs, Quibids continues to maintain this edge. Since they began in late 2009, they have built their reputation on trustworthiness. While many other penny auction sites have seemed questionable, and even suspicious, Quibids remains reliable. Also worth noting, every auction has a “Buy Now” option. If you use it, the bids you submitted for the item are subtracted from the price. BidRivals – Even though BidRivals is smaller than Quibids, they are still one of the largest penny auctions online. You’ll benefit from the safety inherent in the high traffic volume they attract, but avoid some of the frenetic auctions that take place at Quibids. BidRivals’s size allows them to put a large selection of high-end items on auction. From gaming consoles and notebooks to Blu-Ray players and perfume, they offer popular products seldom found at smaller sites. Beezid – Beezid is roughly the same size as BidRivals in terms of penny auction traffic. Thus, when you participate in the auctions, you can expect to enjoy many of the same advantages. One advantage is that they cater to their users. For example, with hundreds of auctions held each day, it can be difficult to stay on top of the items for which you’re bidding. So, Beezid offers helpful tools – namely, their AutoBeezid and Beezid Sniper (visit their site for the details). One drawback of bidding at Beezid is that they do not offer a Buy Now option. Keep this in mind if you have relied on it in the past. On the other hand, they are a reputable site that places a large selection of high-quality items on auction. Beezid also maintains several promotions, contests, and special events. BidCactus – BidCactus has the distinction of being the oldest penny auction site in the U.S. With recent audits conducted by Ernst & Young, they are also one of the safest. They offer a reasonably wide range of items with many of their auctions starting at $.10 (which saves you time and money). A unique feature of BidCactus allows you to vote on future auctions. That’s helpful since it gives you a way to influence the items that are opened for bids. You’ll also be able to take advantage of attractive promotions, such as their Double Points Saturdays and Happy Hour Fridays. BidCactus may not be among the biggest penny auction sites, but they close the gap in other ways. Happy Bid Day – There’s a lot to like about HappyBidDay, which is the reason they are one of the smallest penny auctions we currently recommend. First, they offer an automated bidding tool called BidRunner. It lets you stay in the action, even if you’re unable to watch your auctions. Second, because they draw less traffic, there are fewer bidders with whom you’ll need to compete. Third, we’ve found Happy Bid Day to be one of the best penny auction sites for bidding on gold and silver. Even though they are relatively new, they’ve managed to build an impressive track record. Expect HappyBidDay to become much larger down the road. There are definite advantages to participating at both the largest and smallest penny auctions. Keep in mind, however, that it is possible to lose money at any auction site. 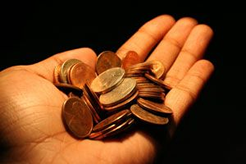 Visit our penny auction strategy tips to improve your chances of winning your preferred items. Check out the traffic at Quibids today! Please leave your honest ratings and reviews and help us create reviews bidders can trust! Copyright ©2018 FullQuality Entertainment, LLC. All Rights Reserved.